Youngsters from across Victoria can now rejoice in the news that paintball is no longer a sport reserved for the older market. Thanks to revolutionary paintball technology players as young as 8 years old can now participate in MiniBall paintball events at Delta Force Dingley. Donning miniature combat suits, full head protection goggles, body armour and custom-designed paintball guns, the junior would-be warriors will be lined up against children of a similar age in what is fast becoming the number one choice for junior birthday parties, school excursions and fun days out during the holidays. MiniBall will adopt new technology with pump-action shotguns that are powered without the use of compressed air – all of this means that youngsters from 8 years old can now participate with their older brothers and sisters rather than watch on from the sidelines. 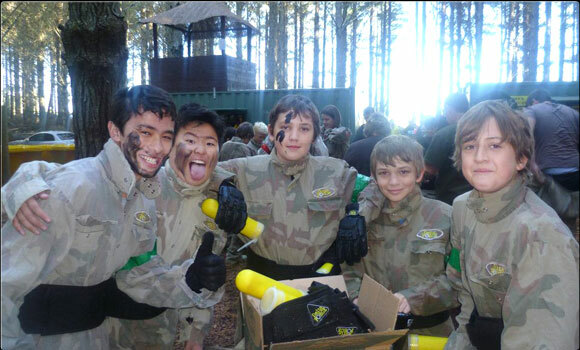 Located just 30 minutes from the Melbourne CBD, Delta Force Dingley is proud to be the first Victorian paintball operator to offer paintball games for the younger market. MiniBall is yet another Delta Force initiative aimed to improve the sport of paintball across Australia. During your MiniBall event players will arrive at 11:00am for check-in before they undergo a comprehensive safety brief. It is throughout this safety brief that players receive a breakdown on how the games run and how the safety equipment works. Once the players are fully briefed they will be divided into even teams and then take to the battlefield. This arrival process normally takes 45 minutes, and players can expect to start playing around 11:45am. A full day of MiniBall includes paintball adventure across three amazing games zones and a total of six action-packed missions. Each game zone has a unique objective, ensuring the junior paintballers are fully engaged throughout the day. All players stop around 1:00pm for lunch – you are welcome to bring your own food or order a delicious freshly cooked pizza through your event coordinator over the phone before your game day. To organise your next MiniBall paintball event and guarantee your child hosts the most exciting birthday party or fun day out this year then contact one of our event coordinators on 1300 793 702.